If you’re looking for a reliable type of wood for outdoor construction, for example – fences, then Cedar is a great choice. However, there’s a debate between White Cedar vs Red Cedar, since each variety provides slightly different benefits from the other. In this article, we will be looking at why Cedar is a good choice of wood to use. We will also explain the differences between the types to help you decide which is best for your needs. Cedar is a really useful for construction and is widely available due to its ability to grow in most climates. The different varieties are, in fact, grown right across North America, but what makes it such a good material? The main reason is to do with the ease of use. Cedars are far less likely to splinter or crack than other woods. You can even hammer nails or screws straight into cedar without compromising the integrity of it. You also don’t need to treat the wood or artificially dry it before using it. Cedar contains various natural oils which means that it is resistant to things like insects, mould, and warping. Cedar is also more aesthetic than other types of wood, and can easily be painted or coated without any difficulty. Cedar is a beautiful type of wood. It looks great wherever you use it – so much so that most people like to use transparent coats on it to retain its natural appeal. Western Red Cedar – This is the most common type of Cedar you will find in the U.S and is primarily grown in British Columbia, Washington, and Oregon. It comes from incredibly large trees, so it is available in a wide variety of sizes. 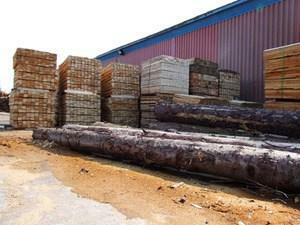 It is the most decay resistant type of Cedar. It is sturdy, durable, and holds strong in the most extreme of climates, and looks really good so you don’t need to coat it. Atlantic White Cedar – This type of Cedar is typically grown near the coast of the eastern U.S. The trees aren’t as large as the Red Cedars of the West because all of the biggest ones have already been felled for construction, but despite this, there are still a number of sizes available. The wood is lightweight, so they are very easy to work with, and it’s naturally resistant to rot and insects. Of course, not all types of Cedar are grown in the US. There are popular varieties that are often imported from China and Spain. These are also good to look at and exude a wonderful aroma. The question is then raised as to which type of cedar is best for use in construction. The answer to this depends on what you are doing with the wood, how you want it to look, and the size of your project. Red Cedar is available in much larger pieces than white cedar, so this may impact your choice straight away. While it is also slightly stronger than white cedar and not as likely to knot, white cedar is strong enough to cope with most construction and building needs. For example, with fences, the knotting issue can be prevented or fixed if it starts to happen. If you’re building something that needs much more strength than a fence, though, you might need to consider the extra resistance that red cedar will give you. Another big difference between the two types is the types of oils that they contain, and therefore their resistant ability and lifespan. White Cedar contains oils that are much stronger. Take fences as an example. You will find that White Cedar will last a lot longer than Red Cedar – some say as much as 10 years more. You should also consider the environmental impact and cost of your use of Cedar. Once the tree has been cut down, the distance the wood is transported can be quite significant considerable for those living on the West Coast. White cedar is grown on the East Coast and Red Cedar on the West. You should, therefore, try to buy the type of wood that is local to you- especially as the difference between white cedar lumber and red cedar lumber is minimal, apart from the way it looks. Which one is for you: White Cedar vs Red Cedar? Cedar is a great type of wood to use for construction projects around the home because of the ease of use and attractive look and smell. It’s also one of the most abundant wood sources; however, with a range of varieties, you have to make a decision on which is best for your needs. To decide between White Cedar vs Red Cedar you need to consider the overall cost, look, and projected life span of your project, but whatever you choose you’ll end up with something amazing.